Some people have made poor hobby choices. 03 Sport - SEMI DIGGERIZED, Surco Rack with Daylighters, OME Lift, Runcool Hood Louvers, RL Front Bumper and Super Skink Sliders, 31" BFG AT/KO on Soft 8s, Skid Row/Mopar Skids, 8k Smittybilt Winch with Synthetic Line. Ya, let folks do what they want. I "hobby" with metal fab too and have made some projects that some folks didnt think was too visually appealing, but they worked for what I wanted them to work for. 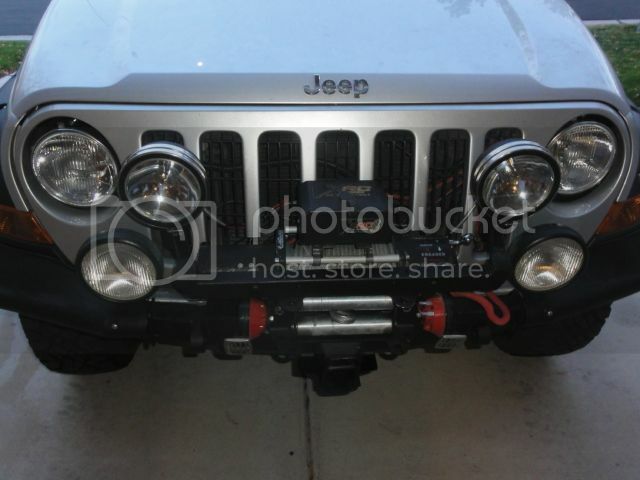 This bumper adds alot of functionality that the stock does not have and cost very little $ to build, so by my definition, its great. Good work. The best criticism is on welds, people love to criticize welds. My welds are not so great looking, but I've never had a failure. From roof racks, to sliders to bumpers and tow hitches that are used to tow decent loads. No issues. I love fabricating also. Not the prettiest but it all works, perfect for my needs, way less expensive than buying it, might not exist on the market and it MAKES ME FEEL GOOD! OME, Rancho, RRO A arms, RRO roof rails w/ diy cross bars, Dual XHD7714 with Pyle speakers, drop in K&N air filter with home made CAI, 8k smittybilt winch , Sears Platinum P1, in cab winch control, 100w Optilux lights, 7" e-code Hella headlights,245/75-16C Duratracs. DIY rockrails, DIY rear double deck cargo rack. I really like the idea for those tow points. Has anyone ever tried doing that but using the stock bumper? There have been members that have used various hitch components.